The South Marson Hotel and Spa provides a charming retreat for relaxing short breaks and leisure and pampering weekends. Situated just off the M4, the hotel is tucked neatly away in the quaint and scenic village of South Marston with its marvellous and unspoilt wildlife. 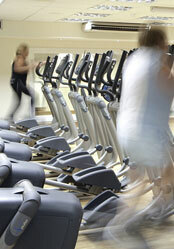 The Mercure boasts a state of art gymnasium and a 23 metre Indoor swimming pool, as well as Health and Beauty Spa. The 60 en-suite bedrooms offer a good range of accommodation, from family rooms to executive. The hotel also provides ground floor rooms and disabled access. A limited number of interconnecting rooms are available to families with single or double sofa beds.